Killer Characters: Sunny is in the House! Sunny is in the House! “Killers and characters and blogs…oh my,” I muttered to myself, needing to hear a voice. It was dark and quiet and freaky in here. The blog owners said the characters were killers, but I was beginning to wonder. Was this whole thing a ruse to lure me out of Divinity to this blog in the middle of Cyberspace so the owners could do me in? Unlike my cat, Morty, I didn’t have nine lives. Although with him being immortal, I guess he didn’t, either. Detective Mitch Stone, aka Grumpy Pants, would flip out if he knew I was here. He’d ordered me not to investigate alone, but I couldn’t help it. My fortune-telling supplies had clearly shown someone was going to die. My visions always come true. Could that “someone” be me? Using a key light, I scanned my notes, looking for clues to which of these bloggers could be capable of murder. Wendy Lyn Watson knows how to cover up murder since she teaches law, and she’s admitted she can scoop to kill a pint of ice cream in nothing flat. Krista Davis knows where to hide a body in the Blue Ridge Mountains. She’s a Diva, painting the town while her sidekick cat leaps to amazing heights and opens cabinets, readying her lethal supplies. 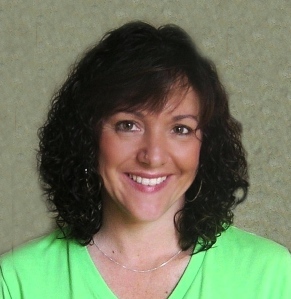 Mary Kennedy knows how to find her victim’s weaknesses as a clinical psychologist. She listens to talk radio, but when the air goes dead, I just know reel murder is going on. Maggie Sefton, with her several careers, has something to hide. Further digging at the skein of the crime revealed she’s packing a pair of knitting needles and knows how to use them. Denise Swanson acts cool and composed, but admits to sneaking away for a little adventure with her husband. Only, I heard on their last trip they murdered a wedding belle. Elizabeth Spann Craig/Riley Adams is delicious and suspicious. She staggers out of libraries and complains of being dragged along as a hostage, yet dreams of dark and stormy nights where pretty dies. Avery Aames likes to read, cook, and garden, but secretly hitchhikes around Ireland and jumps out of airplanes. Turns out she stole Avery’s identity and is really the dangerous Daryl Wood Gerber. Mary Jane Maffini outright admits to settling into a life of crime. She was a former president of crime, and a member of a Ladies Killing Circle with the messiest desk I’ve ever seen. Misa Ramirez/Melissa Bourbon might hang out with seamstresses, but she makes her victims pleat for mercy. And poor Lola and Harlow. I shivered. She downright stalks them on their adventures. Laura Alden seems so sweet with her love of baths, red raspberries and blue skies, but she’s really like a PI with all the pictures she takes for “research.” I heard she committed murder at the PTA. Betty Hechtman found her calling in a stitch in crime. She’s deadly with her crochet hook in hand and a bit obsessed with Granny squares. Kinda freaks me out. Sheila Connolly has more degrees than she knows what to do with and has lived all over. I wouldn’t want to get her mad and make her see red…she finds death delicious. Janet Bolin is the expert weapons master with all these hobbies, claiming the snares are unavoidable, but I know better. Now the situation is dire, I fear. Heather Webber is the queen of escape plans. She rides the T, skips rocks, and roots for the red sox, but don’t let her fool you. She’s truly madly crazy. Amanda Flower weaves in and out of Slovakia, Ireland and Israel like she weaves a basket, but I just know that murder is hiding within. Casey Daniels loves to stomp through cemeteries, or should I say museums without walls, looking for inspiration, but I know better…she’s looking for the living dead at night. Lucy Burdette/Roberta Isleib poses as a food critic, but her alter ego is really a clinical psychologist with a taste for murder. I’d beware of the advice she gives. Miranda James hides her cat in the stacks of classified books, waiting for the go ahead to pounce. I heard she thinks murder is past due. Joyce & Jim Lavene were last seen wearing harrowing hats at a renaissance fair, attempting to commit murder. I heard they get help from their pets and won’t stop until they find the missing pieces. J.J. Murphy might act like she’s into health care but I just know she murdered her darlings at the round table. Duffy Brown/Dianne Castell commits murder on consignment. I mean she iced the chiffon, and who takes Sherlock Holmes to the prom over Brad Pitt? There’s just something off about her. Joanna Campbell Slan was seen on the banks of the river with scars on her knees. She claims she tripped, but I heard she’s armed with scissors and can give a deadly paper cut. Finally, Diana Orgain claims her maternal instincts help solve crime and she brings her baby with her. But I say she’s a bundle of trouble and a great actor as she writes the script for my murder. A noise echoed through the dark room, startling me, then a pair of hands grabbed me from behind and covered my mouth before I could scream. This was it. I was going to die. I hated it when Detective Grumpy Pants was right. I squeezed my eyes shut and waited for the inevitable, when the hands jerked me around. My eyes sprang open, and I sucked in a breath. Mitch, I thought on a sigh of relief that died a quick death as I stared into eyes so dark they were nearly black. And narrowed. And angry as hell. Forget the blog owners. The Grumpmeister was going to kill me for sure. Kari Lee Townsend lives in Central New York with her very understanding husband, her three busy boys, and her oh-so-dramatic daughter, who keep her grounded and make everything she does worthwhile…not to mention provide her with loads of material for her books. Kari is a longtime lover of reading and writing, with a masters in English education, who spends her days trying to figure out whodunit. Funny how no one at home will confess any more than the characters in her mysteries! 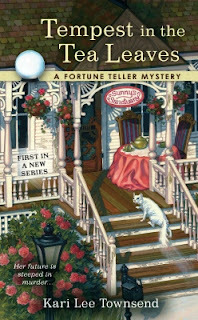 Sunny is a big city psychic who moves to the quaint town of Divinity, NY to open her fortune-telling business in an ancient Victorian house, inheriting the strange cat residing within. Sunny gives her first reading to the frazzled librarian and discovers the woman is going to die. When the woman flees in terror, Sunny calls the police, only she’s too late. The ruggedly handsome, hard-nosed detective is a ”non-believer.” He finds the librarian dead, and Sunny becomes his number one suspect, forcing her to prove her innocence before the real killer can put an end to the psychic’s future. Those authors do have more murders on their hands than a serial killer, but their characters seem to be on the side of truth or justice. Maybe we'll see you somewhere else soon so we know you survived. You tell that Detective Grumpy Pants not to scare you like that. I'm armed with thread. Lots of it. Also I'll be giving away a signed copy of Tempest to one lucky commenter with a US address! I had a blast writing this post! This was a great post and I love the introductions of the killer characters. Hmmm, is there more to Grumpy pants than we are seeing? Is their a romance in the works between Sunny and Mitch? I'm looking forward to reading about your adventures. Well, I definitely enjoyed reading it. And I will be looking for your books as soon as I go out shopping. Humor in books are good, I think, and just adds that little something that makes them worth reading. Loved this post, and hope you do it again, soon! OMG...we're hanging around with all those killers? Who knew? Mwah-ha-ha ... My students will tell you that I'm more dangerous than any cozy killer. But never fear, Sunny. I don't have it in for you. Promise. Good luck dealing with Grumpy Pants. You wrote about all these other authors, yet I feel like we learned the most about you, Kari! You have great sleuthing skills! I'm glad you survived. And look how many of us are hanging around in cyberspace with you! Temptest in the Teas Leaves sounds like a fun read! What a clever, clever post! I'd love to read Tempest in the Tea Leaves. Oh what a great post. So many murders but SO many great sleuths. Have Temptest in the Tea Leaves on my Wish List. Love the title -- Tempest in the Tea Leaves -- and would love the opportunity to read the book. how exciting!! a new cozy mystery!! good luck, Kari!!! What a terrific site! Love all the different authors. Can't wait to get my hands on this new series!!! Janet Spaeth is leaving a comment through me because Blogger is fighting with her! Janet says: "Thanks! what I was trying to say was that I'm a frazzled librarian so I can't wait to read the new book!" Sunny, you may have missed the most dangerous one of us all - Elizabeth J. Duncan trots off to Wales frequently. Hiding from . . . the law? Sounds right up my alley - cant wait to read! Sunny, you've pegged it. What a seer you are! Can't wait to read your series. Kari, this was a wonderful post--thank you! Just two more days and it comes out! Squee!!!! LOVE this blog by the way. You ladies rock. And thanks everyone for making me feel so welcome. A wonderful bunch of characters ... and authors. I love this post - can you foresee being Mrs. Grumpy Pants some sunny day? From the beautiful cover to the perfect premise this sounds like my perfect book - one that I would buys weeks ahead of a plan trip, just waiting everyday to tear settle back in my seat, open a candy bar and curl into chapter one. This isone that I will not miss. Perfect. Just perfect! Both my grandmother and my mother used to tell fortunes with cards, so I have a weakness for fortune-telling (the gene skipped me, apparently). Looking at this great list (thank you! ), I wonder if we could hire out as murder-planners? For a fee, of course. But we'd have to set up a new website for it. Think it's illegal? Any news on when we might see Book #2? Haha what a great surprise to find this reposted. I had so much writing it.